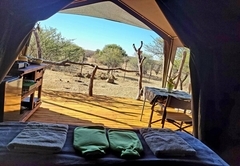 Valid 26 April to 1 May 2019: 10% discount on standard rates, on stays of 4 nights or longer. 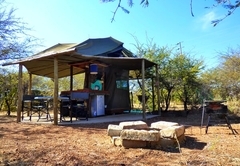 Thorn Tree Bush Camp is a highly recommended property providing self catering in De Wagensdrift for tourists visiting the Northern Gauteng region. 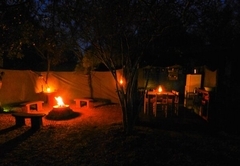 Thorn Tree Bush Camp offers guests self catering accommodation in an ideal destination for those who love nature. 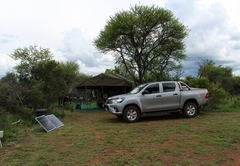 We can be found inside the borders of the Dinokeng Big 5 Game Reserve and are close to Pretoria, Bela Bela, Tswhane and about 100km away from OR Tambo International Airport. 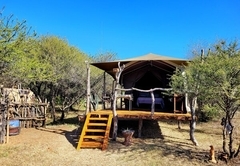 During your stay you can immerse yourself in the wilderness around you and enjoy the bright stars, the sounds of the animals and the stunning sunsets and sunrises. 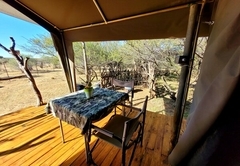 Our watering holes lure many animals into the camp for a drink and here you will be able to spot a variety of animals and birds. 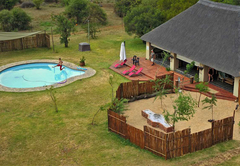 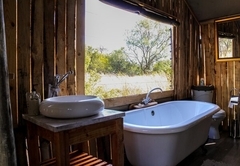 This cottage overlooks the bush and has an en suite bedroom with a king size bed or two single beds if preferred. 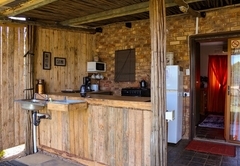 The cottage has air conditioning, a fully equipped kitchen and a private braai. 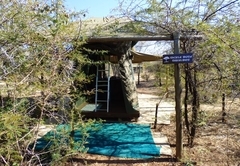 This self catering tent has two single beds and overlooks the bush. 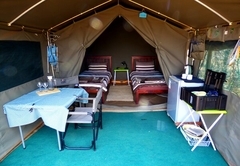 The tent has access to shared ablution facilities and has its own equipped kitchen and private braai. 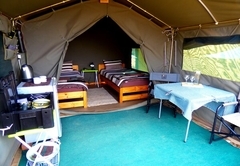 Self catering family tent overlooking the garden. 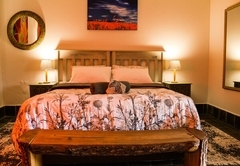 There is a King-size bed (or two single beds) & two bunk beds. 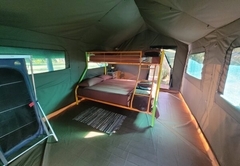 The tent has its own open air bathroom abd access to ablution facilities, own private braai / fire pit, private fully equipped kitchen tent, linen & bath towels provided, own parking. 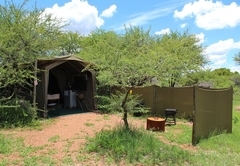 The tented camp consists of two dome tents sleeping two guests each and a family tent with two separate rooms. 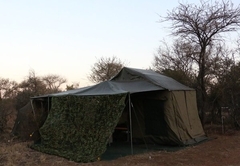 Stretchers, mattresses and linen are provided. 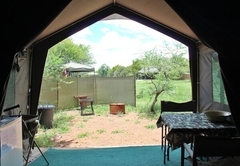 There is a fully equipped kitchen tent and you have access to shared ablution facilities. 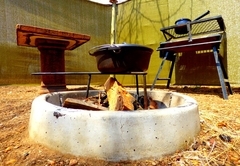 Consists out of 2 domes, connected with a kitchen area. 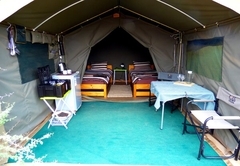 Stretchers & mattresses and sleeps 2 people per tent. 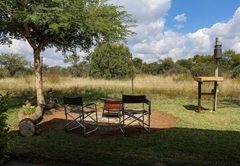 Private braai / fire pit, equipped kitchen, linen & bath towels provided. 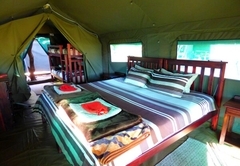 The tented camp sleeps two guests in a double bed. 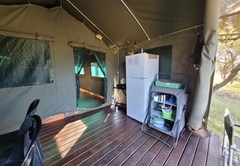 There is a fully equipped kitchen tent and you have access to shared ablution facilities. 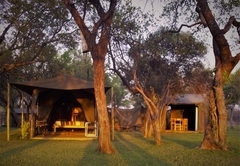 The tented camp sleeps two guests on single stetchers. 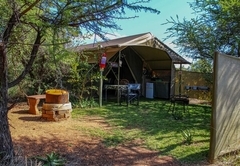 There is a fully equipped kitchen tent and you have access to shared ablution facilities. 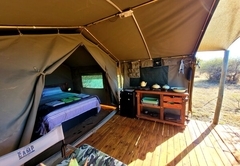 The tented camp sleeps two guests on single beds. 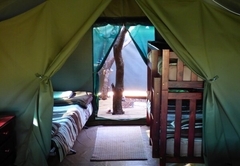 There is a fully equipped kitchen tent and you have access to shared ablution facilities. 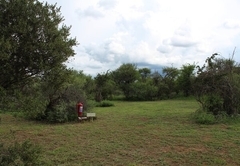 We have a small 'mall’ with a liquor store, bakery, basic grocery store and fuel station about 5km from us. 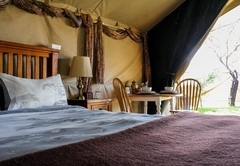 Mystic Monkeys and Feathers is a must visit as is the Carousel Casino for those who like to gamble. 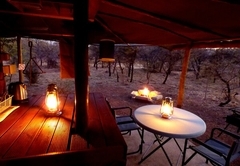 During your stay you can enjoy picnicking, dining at great restaurants, boat cruises, game drives, bush walks, microlight flights and much more. 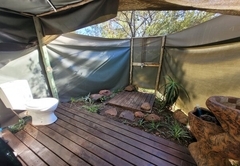 14 Reviews from SA-Venues.com travellers. 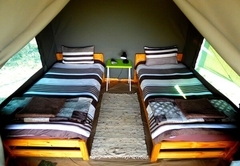 All reviews are verified. 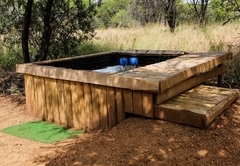 Coming from Australia really wanting to have a bush experience, Thorn Tree was the best place to do it. 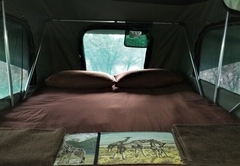 Didn't have to think of anything except for food and clothes! 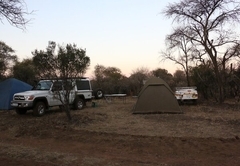 We had the best time and it was really peaceful. 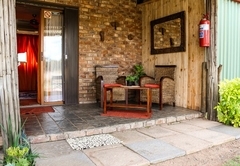 thank you for the great hospitality and service! 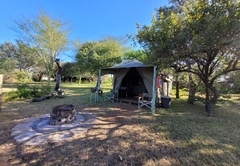 best, holiday I've had in a long time I'm definitely coming back i love the wild got grate photography pictures and , everyone here is always helpful and willing to do things for you.